Millions of Khashoggi's that the world doesn't look for..
Did you found Khashaggi ?! 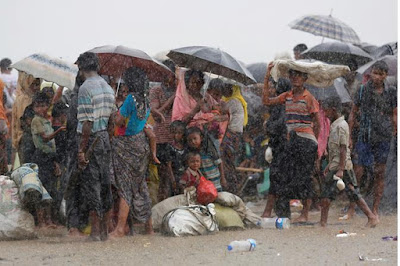 BEIJING (Reuters) - The Rohingya issue should not be complicated, expanded or “internationalized”, China’s top diplomat said, as the United Nations prepares to set up a body to prepare evidence of human rights abuses in Myanmar. 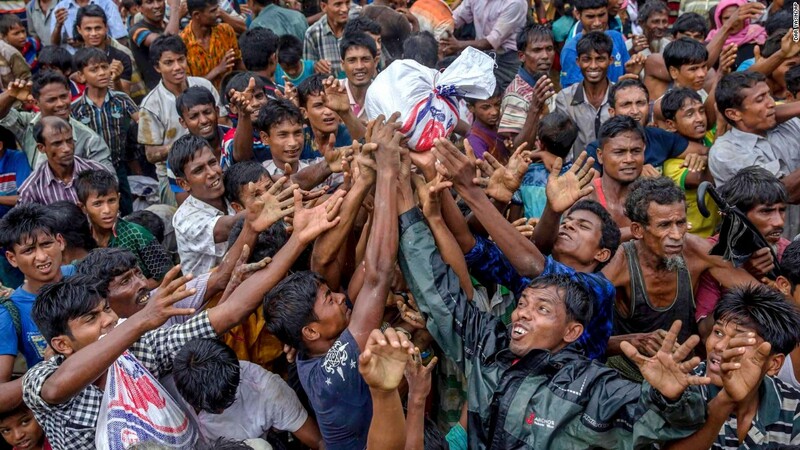 FILE PHOTO: Rohingya refugees scramble for aid at a camp in Cox's Bazar, Bangladesh September 24, 2017. 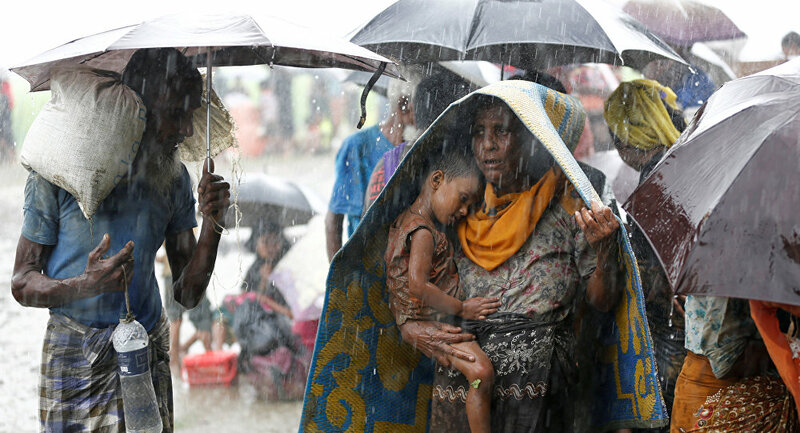 The U.N. Human Rights Council voted on Thursday to establish the body, which will also look into possible genocide in Myanmar’s western state of Rakhine. Over the last year, more than 700,000 Rohingya Muslims have fled the Buddhist-majority country to neighboring Bangladesh following a military response to attacks on security posts by Rohingya insurgents. 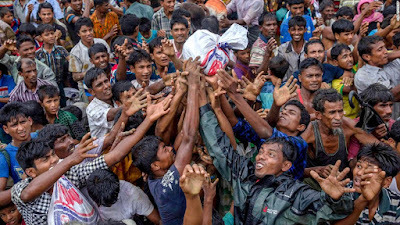 The United Nations has called Myanmar’s actions “ethnic cleansing”, a charge Myanmar rejects, blaming Rohingya “terrorists” for most accounts of atrocities. FILE PHOTO: Rohingya refugees try to take shelter from torrential rain as they are held by the Border Guard Bangladesh (BGB) after illegally crossing the border, in Teknaf, Bangladesh, August 31, 2017. China has close relations with Myanmar, and backs what Myanmar officials call a legitimate counter-insurgency operation in Rakhine. Beijing has helped to block a resolution on the crisis at the U.N. Security Council. Speaking to Bangladesh Foreign Minister Abul Hasan Mahmood Ali and Myanmar’s minister of the office of the State Counsellor Kyaw Tint Swe in New York on Thursday, China’s State Councillor Wang Yi said the Rakhine issue was a complex, historical one. 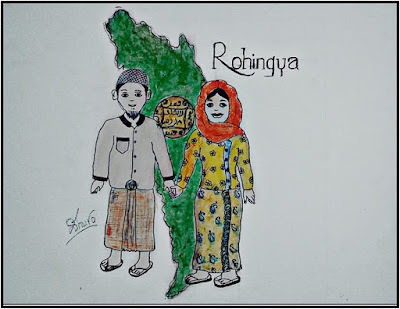 “The Rakhine state issue is in essence an issue between Myanmar and Bangladesh. China does not approve of complicating, expanding or internationalizing this issue,” Wang said, according to a Chinese foreign ministry statement issued on Friday. China hopes that Myanmar and Bangladesh can find a resolution via talks, and China is willing to continue to help provide a platform for this communication, he added. “The international community, including the United Nations, can also play a constructive role on this,” Wang said. The statement added that U.N. Secretary-General Antonio Guterres also attending the meeting, held on the sidelines of a U.N. summit. Labels: China, Ethnic cleansing, Myanmar, Rakhine, Refugees, Rohingya, Rohingya Refugees, rohingyamuslims, U.N.